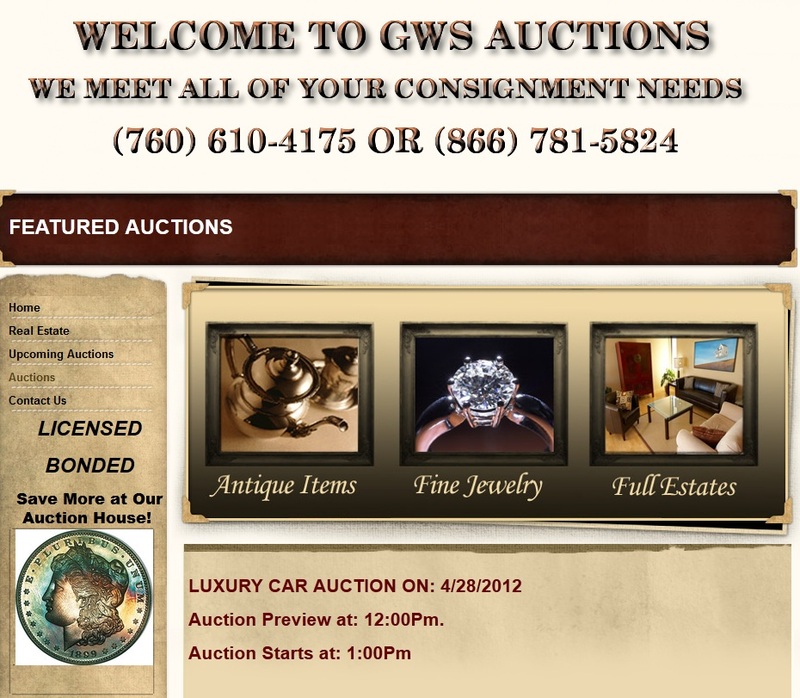 Last week GWS Auctions was notified that it had listed several fake California gold replicas on its site. The auction company not only removed those lots from the Proxibid block but also telephoned Proxiblog to thank us for informing them. This is in stark contrast to how some other auction houses responded. For the basics about how to tell fake California gold from the real deal, see this article. Above all, if you are an auctioneer selling coins regularly on Proxibid, we once again recommend a subscription to PCGS CoinFacts. Nothing is as authoritative as this in providing data for you to combat counterfeit replicas or know the most current auction prices for authentic coins. CoinFacts has listed hundreds of examples of California gold, replete with rarity information. As for our articles on California gold, we not only share our numismatic knowledge with Proxibid auctioneers but also fact-check what we post with some of the top numismatists in the country. The biggest giveaway that you are auctioning a replica is a bear on the reverse. Some Proxibid auctioneers continue to offer these fake replicas, gold-plated or brass, even after being informed. Proxibid should take notice of that. Bidders should take notice, too. We have won dozens of lots with companies in the past; if they did not respond to our alert, nor remove or properly identify the replicas, and we will cease bidding any more with them or just bid on coins in holders by PCGS, NGC or ANACS. In this post, we warned Proxibid auctioneers that replicas from eBay will be flooding Proxibid, as eBay had banned replica sales. Some heeded the warning, some continued business as usual, listing what consignors told them. It is not enough–repeat, not enough–to call a counterfeit replica a “gold token” or “coin,” especially when the auction house has been informed. Some fake tokens or “charms” indeed are made of gold, but hundreds more are not. If you have tested the lot with a sophisticated precious metal tester (cheap ones say “gold” when a item is “gold plated”), then state that along with the karat designation in the Proxibid lot description. Some 10- and 22-karat charms between the mid 1870s through the 1930s were made of gold, produced before the Hobby Protection Act went into effect. Some auction houses listing replicas as real are members of the National Auctioneer Association and the Professional Numismatics Guild, among others, with distinct ethics codes. Moreover, it is illegal to sell counterfeits when you have been informed, even if those counterfeits were made in the 1930s (as many of these fake California gold pieces were). And we applaud houses like Fox Valley Coins, Leonard Auction, Capitol Coin Auction, Weaver Signature Coin and Currency Auction, Western Auction and Silvertowne–just to name a few–for correctly identifying authentic and replica California gold pieces. And we will patronize houses like Christy’s Auction and GWS Auctions for having the integrity to remove lots when informed. Proxiblog will continue to protect the hobby by raising awareness of our viewers. We value auction houses who appreciate our efforts. We know the hundreds of bidders who visit our site do, based on personal emails to this site. This entry was posted in Best Practices, News and tagged california fake gold, California gold, california replicas, california tokens, Capitol Coin Auction, Christy's Auction, counterfeit coins, Fox Valley Coins, GWS Auctions, Hobby Protection Act, Leonard Auction, PCGS Coin Facts, Silvertowne Auction, Weaver Signature Coin and Currency Auction, Western Auction. Bookmark the permalink.